One of the more interesting and overlooked factors in the days leading up to the First World War, which had significant ramifications in the Middle East involved Winston Churchill. 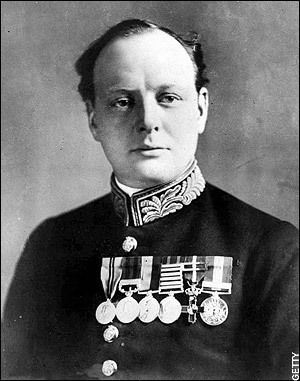 Churchill was serving as First Lord of the Admiralty and made a decision which ensured the Ottoman Empire would be pushed into an alliance with Germany. For many years Britain had been the chief supplier of ships for the Ottoman Navy. In fact in the years leading up to World War One the Ottomans had purchased over 40 ships from Great Britain and on August 2nd 1914 was expecting to take delivery of two, extremely modern Dreadnoughts, the Sultan Osman I and the Reshadieh. The Sultan Osman was armed with fourteen 12” guns, the Reshadieh with ten 13” guns, making them the equal or superior to most battleships afloat. The Turkish Government had paid over 4 billion Pounds for the ships and made the final payment on August 2nd shortly before the Turkish Captain and 500 crew members were to come aboard for a ceremony formally handing over the ship to the Turkish Navy. Much of the money the Turks used to pay for the ships came from the donations of ordinary Turkish citizens. Money came from taverns, from cafes, schools, Mosques and markets. Those that donated were awarded a commemorative medal, the ships were the pride of Turkey and the empire. The nation awaited the delivery of the ships which would ensure the superiority of the Turkish Navy against its traditional foe, Russia. 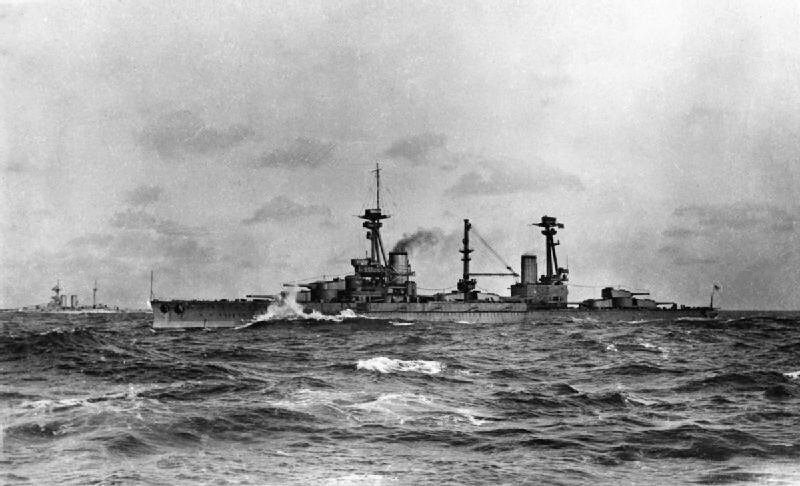 Churchill had gained two modern Dreadnoughts for the Royal Navy, and the British shipyards kept the money, the Turks were never compensated for the loss. 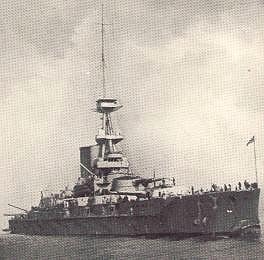 The ships were renamed HMS Agincourt and HMS Erin. Both served throughout the war and at the Battle of Jutland, and bother were scrapped in the early 1920s due to the restrictions of the Washington Naval Treaty. But in the process whereby the British gained the ships, ensured that Turkey would ally itself with Germany. The positive effects were mitigated by the Germans providing the very modern dreadnought type Molkte ClassBattlecruiser Goeben and Light Cruiser Breslau to the Turks, giving them the edge over the Russians. Breslau was mined and sunk in 1918 but Goeben served in the Turkish Navy as the Yavuz Sultan Selim until she was decommissioned in 1954, and scrapped in 1973. Likewise, Churchill’s decision meant that when Turkey entered the war that the strategically important Bosporus strait which was Russia’s only year round access to foreign shipping was closed, keeping Britain and France from being able to supply their Russian ally. The ill-fated Gallipoli campaign, launched by Churchill was the attempt to break the Turkish stranglehold, and the costly failure of that operation helped ensure the defeat of Russia and the overthrow of the Czar.. In the long term it had affects that we are still feeling the today. The entry or Turkey into the war and the subsequent collapse of the Ottoman Empire was the catalyst for the arbitrary borders drawn by the allies across the Middle East. We still suffer the result today. Had Turkey remained neutral throughout the war, or even sided with the allies the course of history might be far different. We don’t know, but the Ottoman Empire might have endured or it might have peacefully morphed into something different. Churchill’s decision turned out to be one of the more important, and less known events before the war broke out, and certainly we still feel the ramifications today. Actions have consequences, and sometimes what seems expedient to give a tactical edge, sometimes has far reaching strategic consequences. Consequences that sometimes linger for generations. In particular, the Trump administration needs to wake up to how their present policies will effect the world for the next century or more. It should be remembered that the German Admiral and crews remained with the Goeben and Breslau throughout the Great War and it was on orders from Berlin that they attacked the Russians in Crimea. This action was without sanction from Ancara and the subsequent declaration of war with Turkey was the responsibility of Germans. Had this not occurred it is not improbable that an accommodation between the Anglofrench and Turkish governments could have been found. Had Turkey not been a belligerent both commandeered battle ships would have been returned to Turkey at the conclusion of hostilities with compensation. This is my understanding from memory of long forgotten readings and I am open to correction if you have more accurate information. Britain learned from this and made strenuous efforts to keep Turkey neutral during the Hitler war, supplying Spitfires and more to influence the Turks Regards. David, although I didn’t mention that it is well covered in Tuchman’s “The Guns of August” and Massie’s “Castles of Steel.” My only concern in this article was the the decision of Churchill. Admiral Souchon’s attack on the Russians further set up the Ottomans for a war that would end their empire.